This project could be a part of a weekly family meeting — if you do them — or a special family activity. Perhaps most importantly, this is not a top-down activity, one in which you hand down a set of rules to your kids. Instead, this is an opportunity for every member of the family to be heard and every person’s ideas to be valued. Kids are so much more likely to buy into this concept if they are given respect in the process of its creation. As you are working together, pay attention to your kids’ levels of focus and energy. Perhaps you could bracket this meeting with some outdoor activity time to blow off steam. Don’t stress if you still have more work on the manifesto that you would like to do but your kids are clearly done with the activity. Remember that you can always revisit it in days to come! Begin by talking with your kids about how important it is to be clear about purpose and values. You could say that most companies and schools have mottos of some kind to motivate their employees or students. You could say that a family is like a team and teams work best when they have common goals. It may be important to mention that you don’t expect everyone in your family to share exactly the same goals but that you know that there are many that you can agree on. What does our family believe in? What do we try our best to do? How do we like to be treated? As your family’s ideas spring out and are written down, begin to look for links and overlap between ideas. Your job as a parent will be to look at the big picture and find connections between ideas. Ideally, you will be able to pare the manifesto down to key statements that everyone in the family feels good about. You can remind your family that this is a work in progress. You can try out the wording in practice and see if it feels right. Tell them that it will be a responsive document that can change as the family grows and changes, but that certain key values will stay constant. The last step in this process is to write out the manifesto in way that you would like to have displayed in your home. It can be nice to post it where you have family meetings so that you can refer back to the ideas and values that it represents. You can also use it during times of struggle or challenging behavior to remind kids of the values that your family holds dear. You can use it to help relieve a power struggle by asking a child if his behavior is in accord with the manifesto. This is a way to hopefully gently remind without harshly correcting. 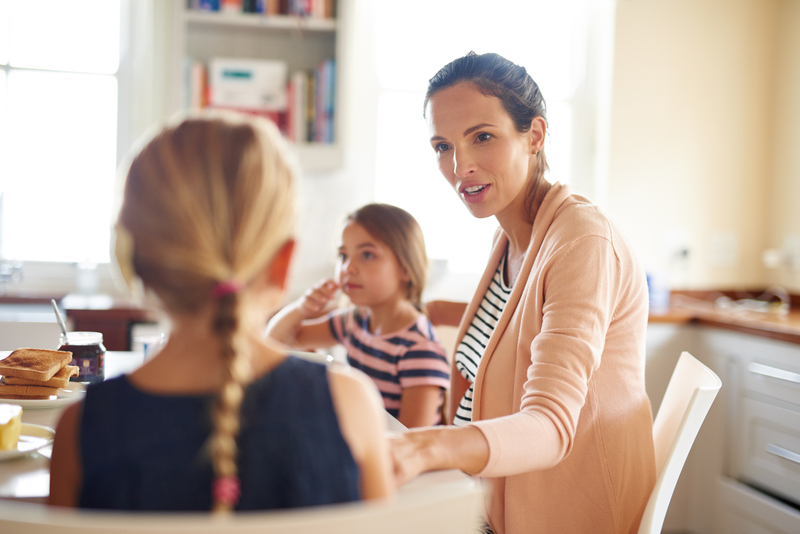 But, fully expect this to be a two-way street and tell kids that they, too, can remind you when you the parent are not holding up your part of the contract as well! Another take on this manifesto is to work on your own personal parenting manifesto. Instead of focusing on the collaborative effort of the whole family coming together, this is an opportunity for you to explore your own personal parenting values. This can be a great exercise to do either on your own or with your parenting partner. As you clarify your own values, you will find a greater sense of the big picture of parenting and hopefully that will inspire you as you navigate through the sometimes messy, nature of day-to-day parenting. In her forthcoming book, Life Incorporated, author Halley Bock offers suggestions on how to write your own personal manifesto. She suggests that you “challenge yourself to come up with 10 statements about what you believe, three statements about how you want to change the world and five statements about what you know to be true. You will then combine these statements to create your personal manifesto.” You can use these same steps to create your parenting manifesto. As you think about this manifesto, it may be a great opportunity to reflect on your own family of origin. What did your own parents do wonderfully and what could they have done better? What do you want to bring forward and what do you want to leave behind from your own past? Research shows that parents who engage in self-reflection are more able to attach to their own children and form strong, meaningful family relationships. This is a great time to look at our big goals and ways that we can help them come to fruition. I wish you the best of luck as you create and implement your family manifesto in the new year!